This year in preparation for winter I started freezing lots of local organic vegetables. Each time I’d go to a farmers market I would buy a little extra and pack them away in the freezer. I just harvested my last bunch of carrots last week and wanted to do a “How to” blog in case anyone out there is wondering the correct way to freeze veggies. Step 1: Peel and cut. 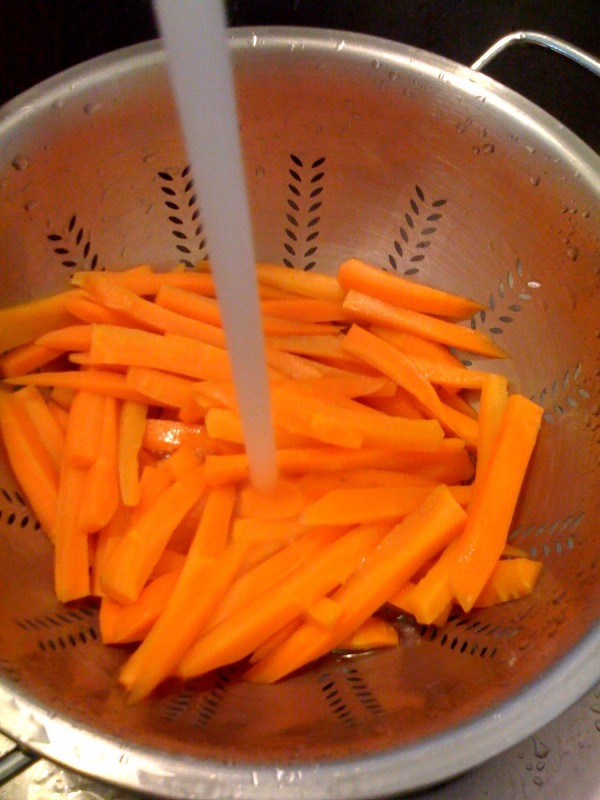 For carrots I like to slice some up in medallions as well as julienne some. Step 2: Boil in water for 2 minutes. This helps get rid of any bacteria and cleanse them in preparation for freezing. Step 3: Cold water bath. 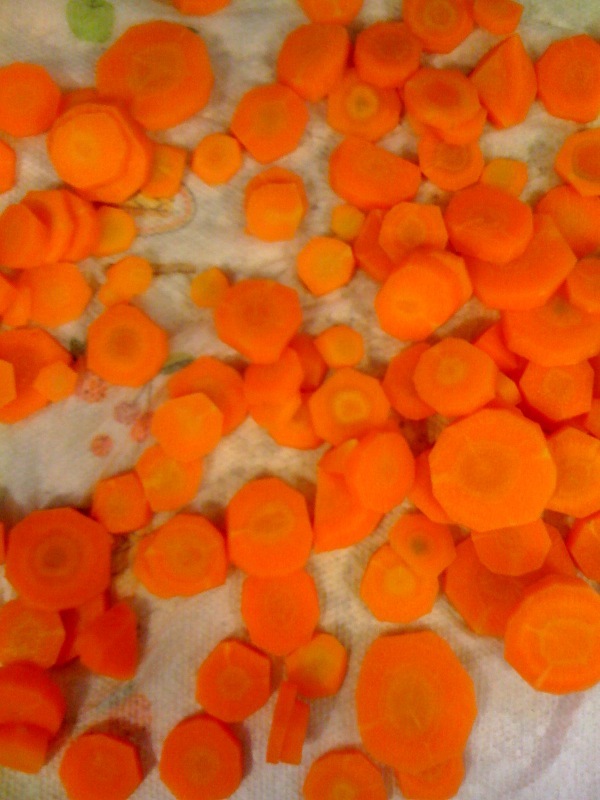 Immediately after boiling drain carrots and run cold water over them to stop the cooking process. If you let them sit and keep cooking they will be soggy (like after blanching). Step 5: Portion out in to freezer bags. This way you can just grab a bag per meal so you don’t have to keep freezing and thawing them all out. I also like to label the bag with the contents (what it is and where it came from) and write the date frozen as well. Step 6: Freeze and enjoy all winter long! Entry filed under: How To, My Garden. 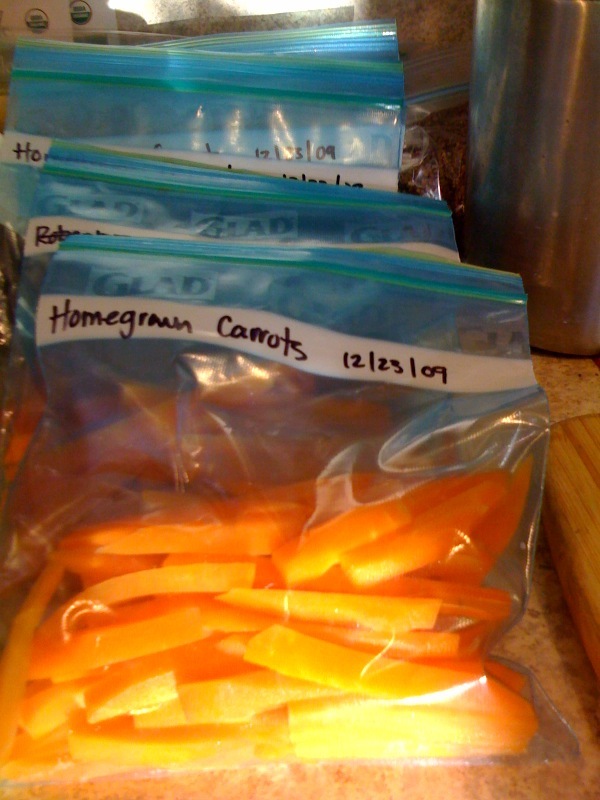 Tags: Carrots, Freezing, Preserving Food.